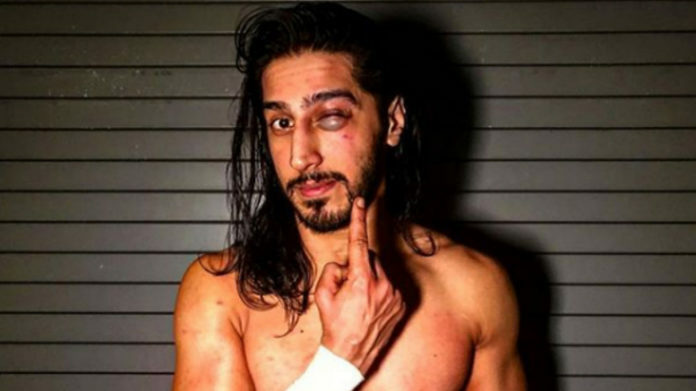 Mustafa Ali suffered a gnarly black eye after a match with Randy Orton on this week’s episode of SmackDown Live. Orton put Ali on the announce table early in the match but Ali was able to fight back and dropkicked Orton instead on the table. Ali went with the offensive to finish the match with the 054 Splash but Orton pulled him off the ropes for an RKO and won. Ali will be competing in the upcoming Elimination Chamber match for the WWE Championship against Randy Orton himself, Samoa Joe, Jeff Hardy, AJ Styles, and champion Daniel Bryan. The event will take place from the Toyota Center in Houston, Texas on February 17.